Each of these sites is threatened by neglect or purposeful attack. 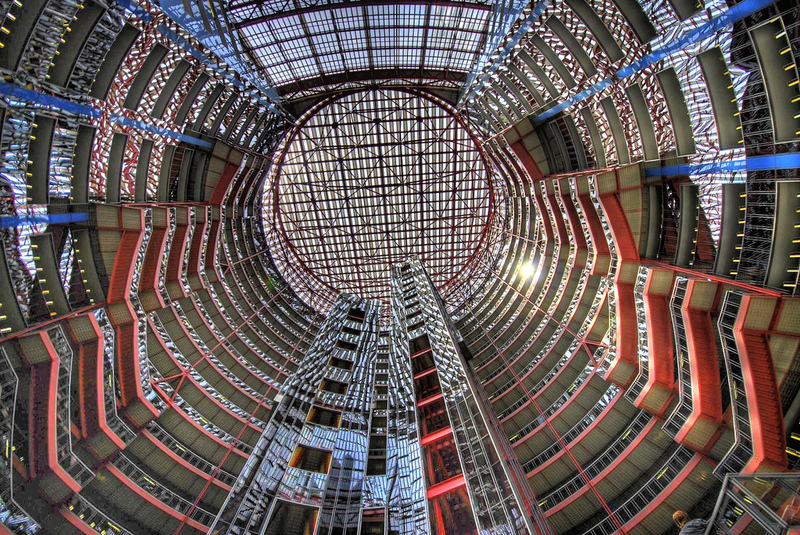 The James R. Thomson Center, the post-modern civic building in Chicago’s downtown, has been targeted by Illinois’s Governor Bruce Rauner. If the governor has his way, the building, which contains the state’s government offices, would be demolished or sold to make way for a new skyscraper. Of note, the Federal Historic Tax Credit is not a specific site, but a program that affects historic places across the country. The tax credit is part of the National Parks Service which is facing major budget cuts under the current federal administration. Route 66, which begins at the steps of the Art Institute of Chicago and runs to the Santa Monica Pier, faces a similar challenge. The National Park Service’s Route 66 Corridor Preservation Program is due to expire in the next three years. If the program is not renewed, the historic highway, which is already in despite need of maintenance, faces an uncertain future. You can learn more about all the sites at the Landmarks Illinois website. You can find the complete list here.